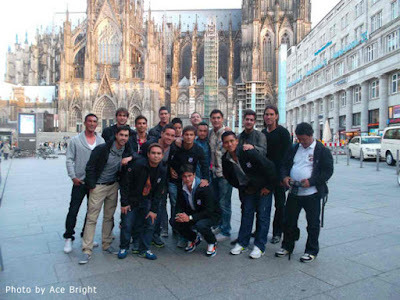 Home / Football / Philippines / All Is Not Well Among the Azkals? 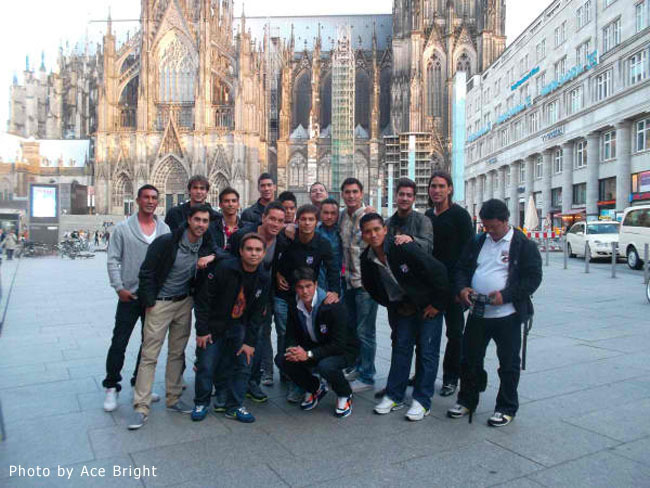 All Is Not Well Among the Azkals? Suskupô Rudeh! The things people will cook up just to generate mileage! In this gloomy weather that we are having, the television screen offers solace. Channel-hopping, I caught Azkals vice-captain Emelio “Chiefy” being interviewed in a GMANews Channel talk show. The theme of the interview was about Caligdong being the only Pinoy born-and-bred in the Azkals’ starting eleven; and how his small stature and body frame have not prevented him from becoming the celebrated sports personality that he now is. Most of the interview was mundane: how he got started into football; when he got called up to the national team; how he continues to commute to training; how his life has changed practically overnight because of the Azkals’ success. There was even this dramatic rerun of an interview with Caligdong by the same network earlier this week during which the Azkal left wing-half was asked to elaborate on that rumoured rift. I saw that earlier interview; and at the time, I thought I smelled crab! I mean, I have the utmost respect for Jessica Soho – that is why I watch State of the Nation nightly without fail – but if that question was not inappropriate, then I do not know what it was! For crying out loud naman, history was just made in Philippine football that nobody in his right mind would have thought possible less than a year ago. There were so many things that could have been asked of Caligdong: does he have a dog; does he have a cat; or which side of the bed does he get up in the morning? Why attempt to prick the bubble of euphoria that God knows we Filipinos as a nation get so little of? 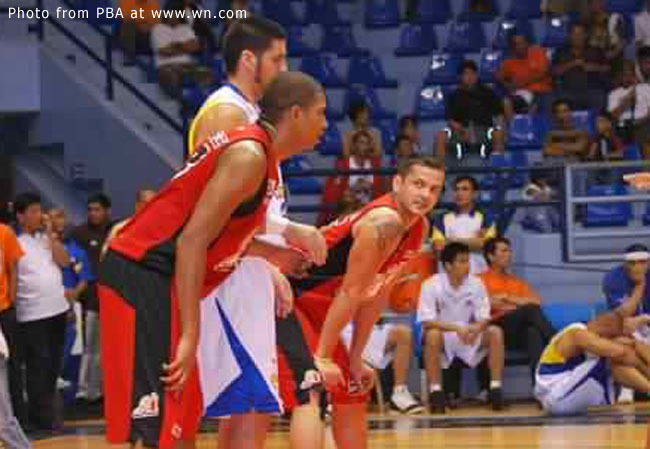 Ayos na ngâ daw, eh… So why – pray tell – did Trinidad have to bring it up again? I, for one, was not nagulantang when Caligdong talked about the rift and how it was subsequently patched. I mean, credit naman the fans with a little intelligence, if you please! Para namang the pure-Pinoy and meztizo set-up does not exist in the PBA, with which Trinidad ought to be very familiar, indeed! May import pa ngâ! Rifts between players are unavoidable in any team; and definitely whatever the sport! A team is made up of several individuals and each will have his or her distinct personality. Conflicts are part and parcel of team dynamics; and have little to do with whether part of the team is pure Pinoy and others not so. Kung ‘yung mag-asawa ngâ, nag-I-love-you-till-death-do-us-part na, nag-aaway pa; ‘yun pa kayang teammates na ‘di naman kasal! 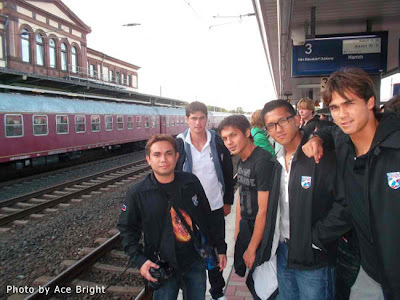 Eh kasi daw, Trinidad pointed out, para daw when the Azkals took walks or rode in the bus, there appeared to be segregation between certain members of the team. Susmeh! Ay paano? There are those who grew up in Britain; or in the States; or in Germany. Then, abao – mga Ilonggo guid! I would have thought having the Ilonggos walking or sitting together and the Fil-Brits or the Fil-Ams doing the same was as totally unremarkable as a situation can possibly get! Put together an Azkal team of Ilonggos, Tagalogs, Kapampangans and Cebuanos and you do not have to be Einstein to figure out who will sit with whom. Everything is perfectly normal in a cultural and maybe even a linguistic sense. So why attempt to make a big deal out of it? Even in the teams I coached over the years, some boys would habitually sit next to each other every time we travelled to matches. 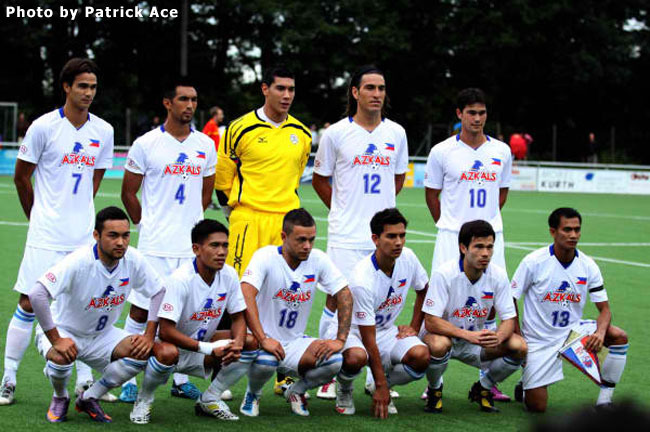 And just to drive home the point that the supposed rift within the Azkals is really a non-issue, even among my boys – na pare-parehong katutubô ng Republic of the Ala Eh – the occasional fight was wont to break out every now and again. That is why you have a coach to mould all the conflicting personalities together and ensure that personal differences are set aside for the benefit of the team’s dreams and aspirations. In my teams, dibdiban ko kayâ ‘pag nag-away! I actually saw a tweet by forward Ian Araneta while the team was still training in Germany prior to the Colombo leg of the World Cup qualifier that hinted at things not being all well in the team camp. I thought nothing of it because there really was nothing to it!